Working with developer Rockford Construction, URBANEER delivered interior fit-outs for multiple floor plans at The Morton, located in Grand Rapids. 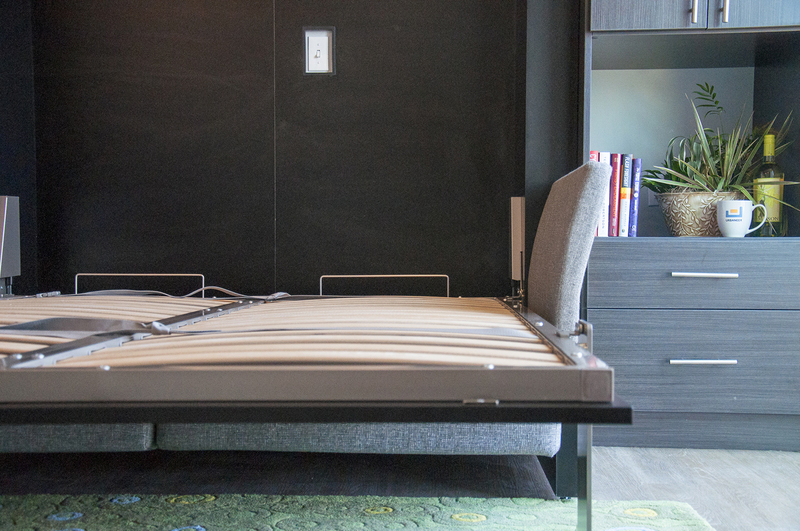 URBANEER helped configure and furnish a number of units ranging from 472 square foot studios to 1,100 square foot two-bedroom units. 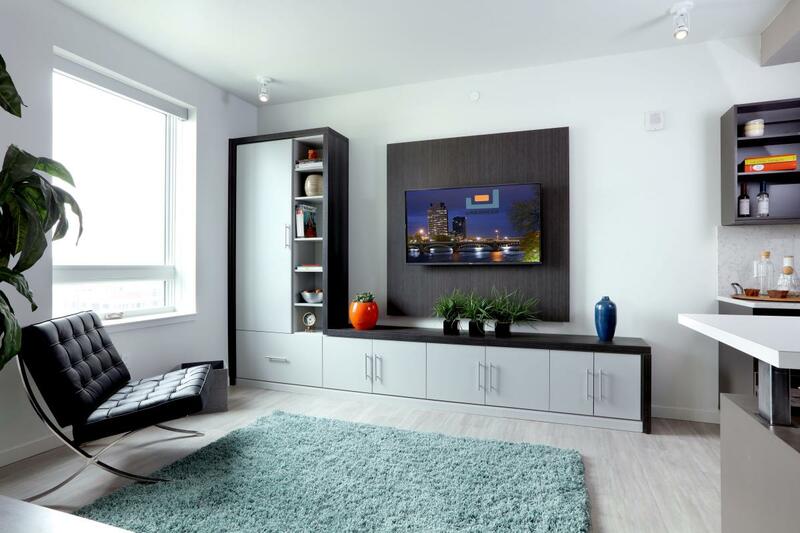 Studio units featured a sleek utility wall with an integrated Vertical Wall Bed and Wall Bed Sofa for easy transitioning from day to night mode. 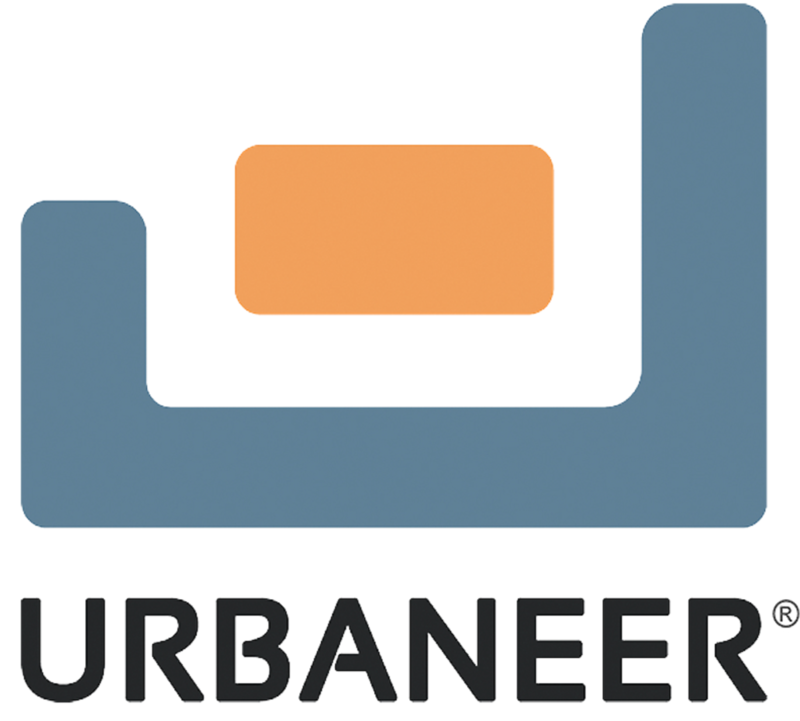 URBANEER® worked with the developer and their architects to fit out the project's 485 square foot studios that were a part of a large 4 building development. Our Founders, while living in Barcelona, experienced a compact, walkable urban living experience for the first time; they were further influenced in Germany while driving compact luxury automobiles which were re-imagined, not just downsized versions of their larger counterparts. The Bungalow was inspired by these experiences, and shows how less square feet can be created to be flexible, accessible and comfortable. The Bungalow is outfitted with our Movable Wall, Vertical Wall Beds, Storage Systems, and Fold-Down Tables. All placed strategically to allow for maximum space optimization. 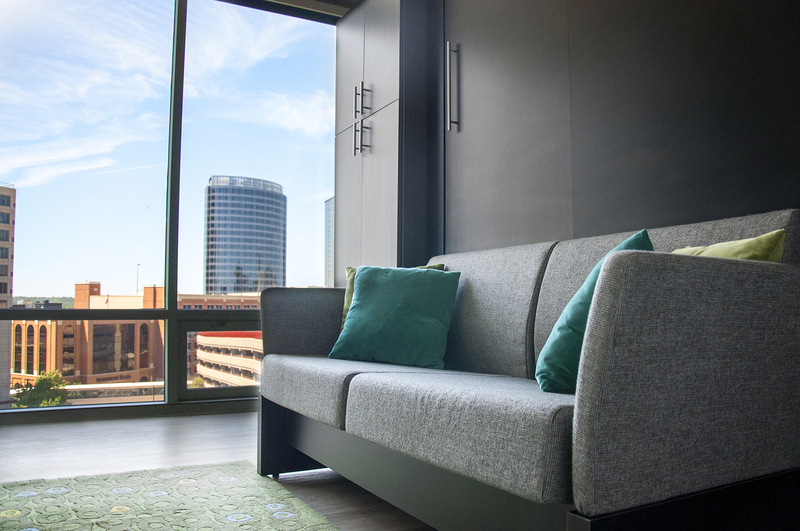 Limited downtown real estate and growing demand for apartments catering specifically to singles lead the developer to incorporate URBANEER® outfitted micro-units into this Grand Rapids multifamily project. 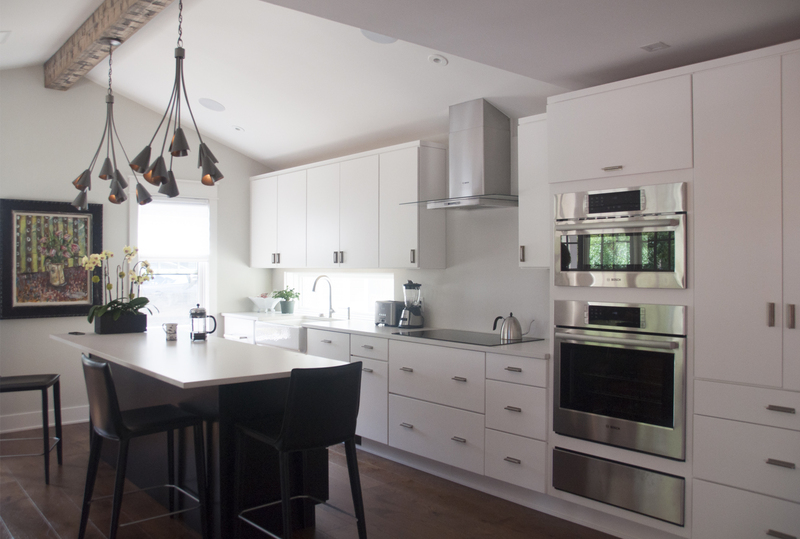 URBANEER® worked hand-in-hand with the developer's design team to fit out these 375 square foot units that would traditionally be difficult to inhabit and market. 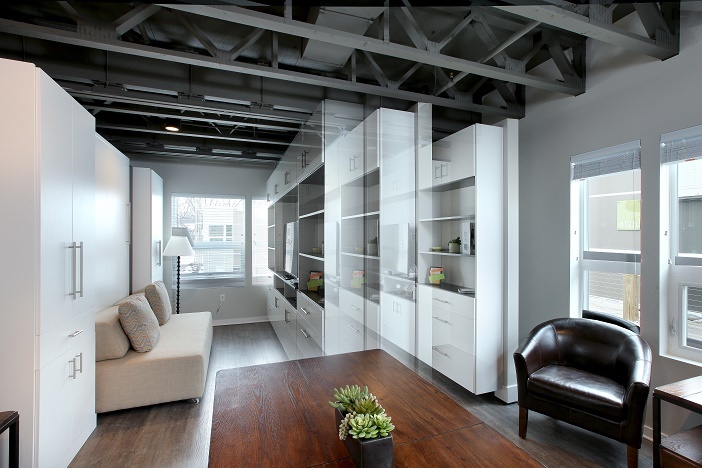 URBANEER® units outfitted with Vertical Wall Beds, Wall Bed Sofas that take the space from day to night as well as matching seven foot Storage Towers. URBANEER® worked with Mercy Health to design flexible space solutions for their Innovation Hub. We re-imagined the URBANEER® Movable Wall for a health care setting and the Movable Wall was able to easily subdivide a large, open space for multiple use-case scenarios. 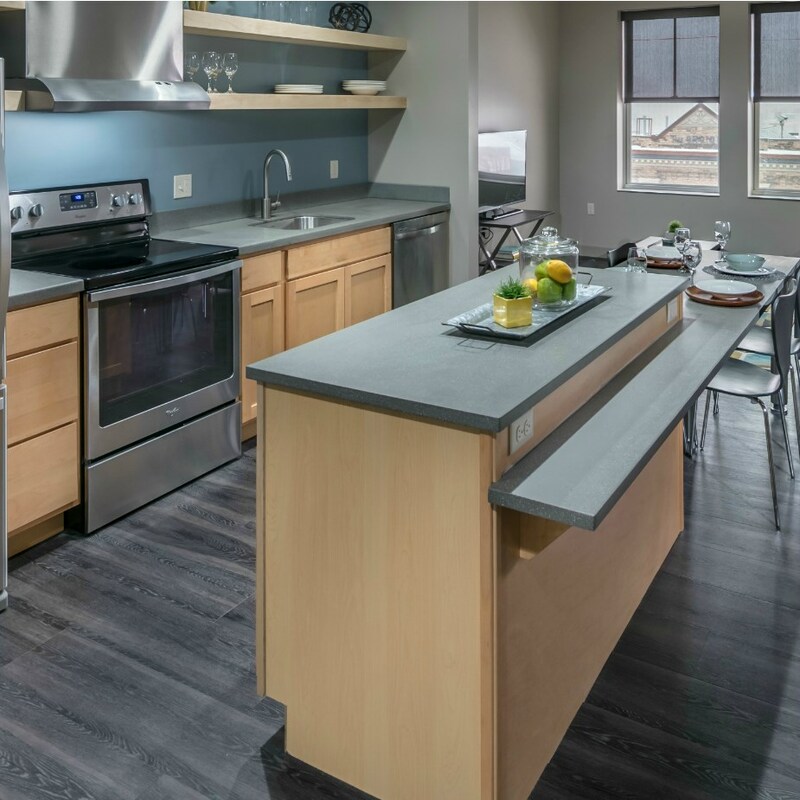 URBANEER® was brought on by developer Rockford Construction to reconfigure and optimize a number of units in Barley Flats, a ground-up mixed-use multifamily development in Grand Rapids, Michigan. Rockford had initially built the floorplates to include two and three bedroom units, but market trends indicated those unit types were languishing.